The Federation Accounts Allocation Committee (FAAC) said on Thursday a new revenue reporting template would soon be ready for the Nigerian National Petroleum Corporation (NNPC) and other members of the revenue sharing committee. The committee also agreed to share N715 billion among the three tiers of government for July. The Minister of Finance, Kemi Adeosun, while briefing reporters at the end of the FAAC meeting in Abuja, said she was optimistic the committee constituted to work on the new template would submit a draft before the next meeting for review. “We are working with the Department of Petroleum Resources (DPR), the office of Accountant General of the Federation (OAGF), NNPC and all the stakeholders to develop a new template,” the minister said. 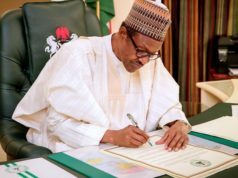 Following series of crises as a result of recurring discrepancies in the monthly revenue returns by the NNPC, which culminated in successive stalemates in FAAC meetings in April and June, President Muhammadu Buhari ordered a review of the existing revenue template. The review, the minister said, uncovered monumental deficiencies in the reporting template used by the NNPC, as its parameters had not been updated for over a decade. Although the post-mortem committee report from the Revenue Mobilisation Allocation & Fiscal Commission (RMAFC) was submitted to the FAAC meeting, discussions were deferred till next month. Two months ago, she had said Mr Buhari also directed that every month, prior to FAAC meetings, the NNPC, OAGF and the Ministry of Finance should hold a pre-FAAC review meeting to reconcile figures and eliminate discrepancies in revenue returns. The minister said the meeting, which held for the first time last Tuesday, has so far helped in clearing a lot of the grey areas in NNPC’s revenue report before the FAAC meeting. 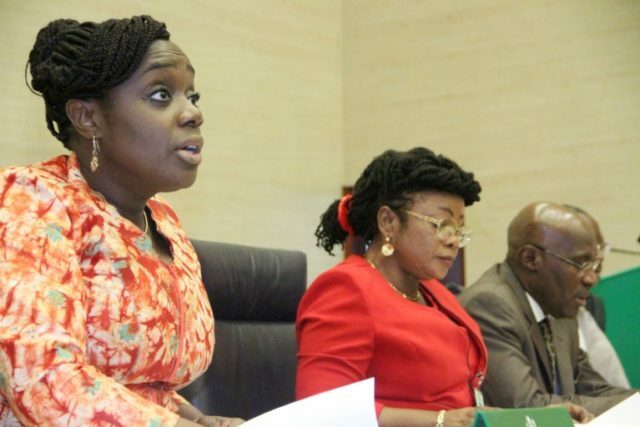 Mrs Adeosun also announced the setting up of another committee under the chairmanship of Commissioner for Finance for Delta State to come up with rules for a rule-based credits to the excess crude oil revenue account. The committee is also to report back in the next meeting. Meanwhile, the three tiers of government, comprising the federal, 36 states and 774 local government areas, along with the Federal Capital Territory (FCT), Abuja, shared about N714.8 billion for July. Details of the revenue distribution contained in the FAAC secretariat report presented by the acting Accountant General of the Federation, M.K. 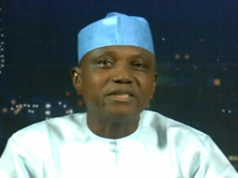 Usman, showed gross statutory revenue at about N597.98 billion. Further details from the report showed that the revenue received for the month was lower than the N694.67 billion collected in June by about N96.7 billion. The report showed crude oil export sales volume of about 3.74 million barrels resulted in increased revenue from federation crude oil export by about 0.17 million barrels compared to about 3.57 million barrels exported in June. Despite the improved revenue during the month, the report stated that production was negatively impacted as a result of shut-ins and facility shut-downs at various terminals for routine maintenance of aging facilities and repairs. Besides, the report showed revenue from value added tax (VAT), import duty, company income tax (CIT) and oil royalty decreased, while petroleum profit tax recorded an increase. The revenue distribution figures read by the minister showed that the federal government got about N269.8 billion, in addition to about N11.9 billion from VAT, while the state governments received N1369 billion and N38.3 billion from VAT. The local government councils were allocated N105.5 billion, apart from N26.8 billion VAT, while the oil producing states collected N44.96 billion as 13 per cent derivation revenue for the month. With about N25billion transfered to the excess crude oil revenue account, the minister gave the balance in the account at about $2.332 billion, while excess petroleum profit tax (PPT) account currently holds about $133 million.